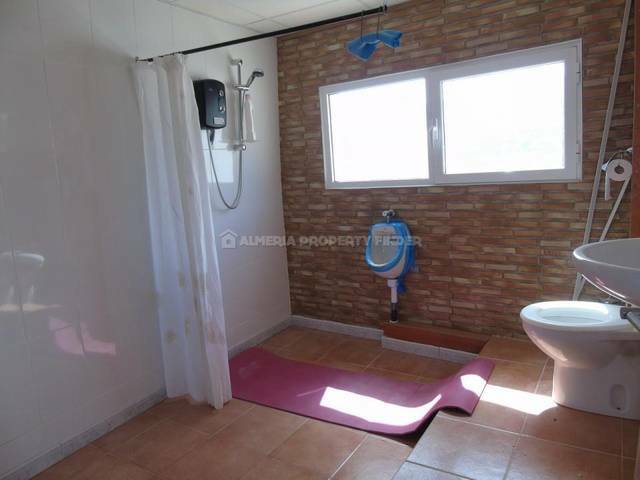 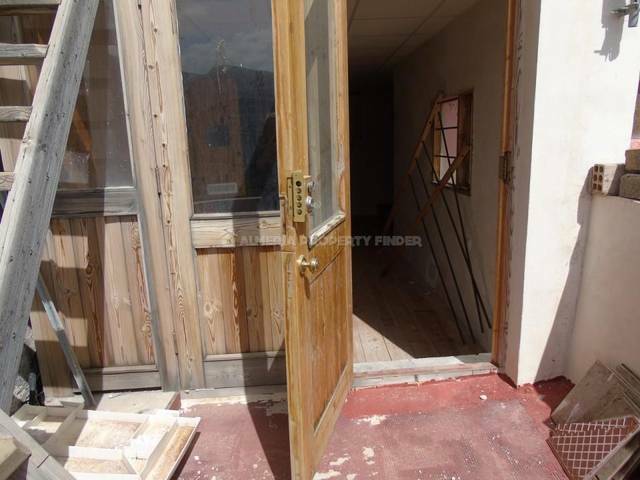 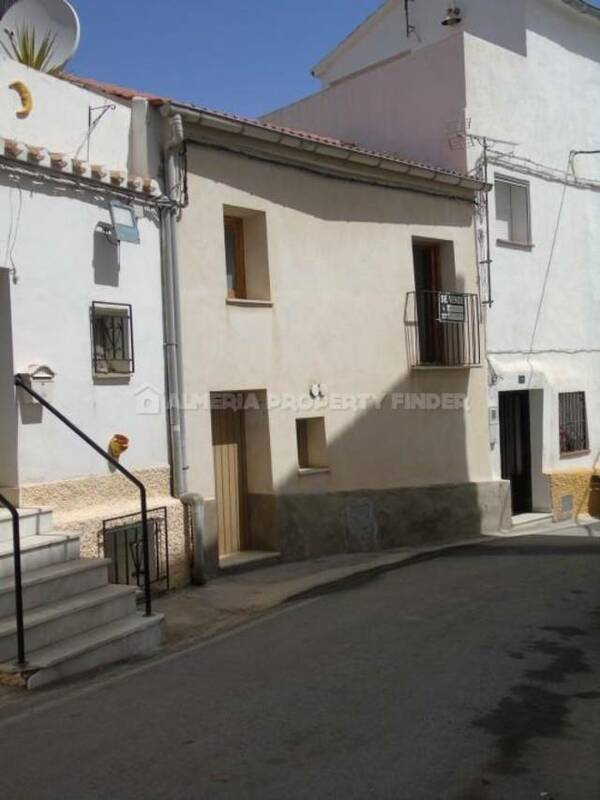 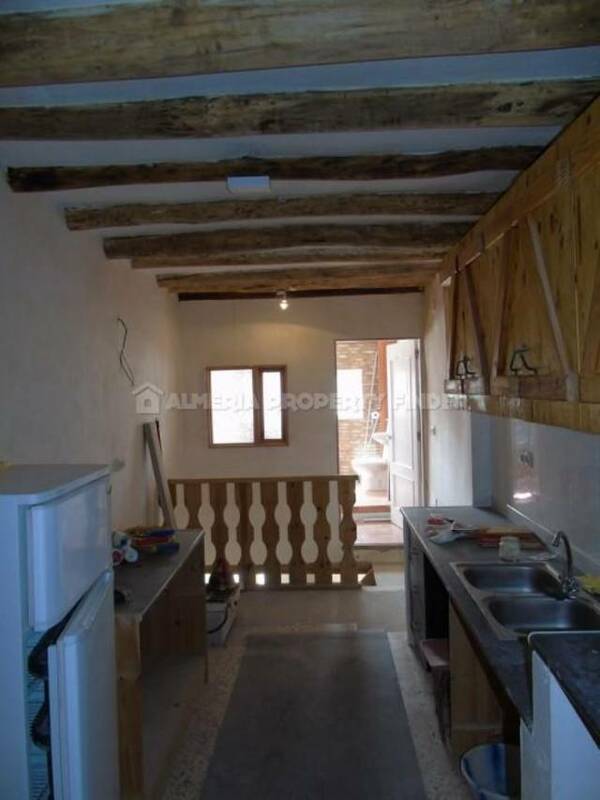 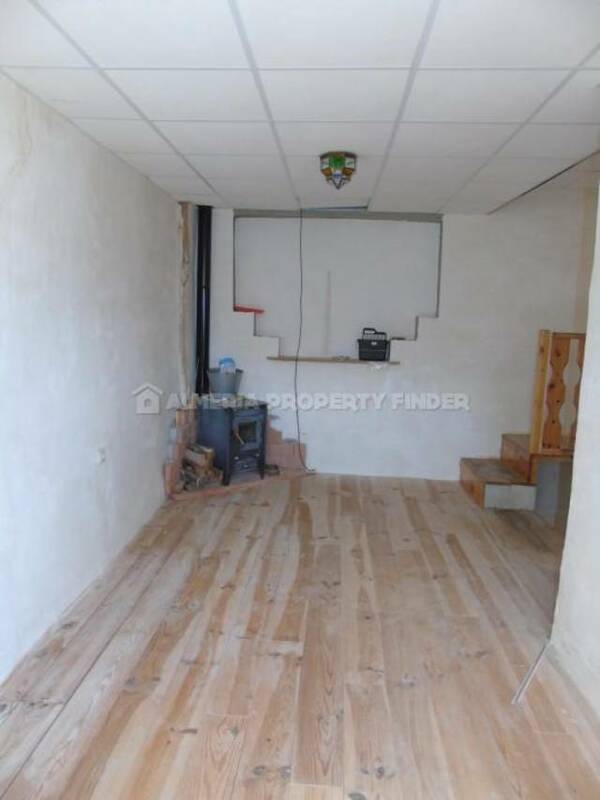 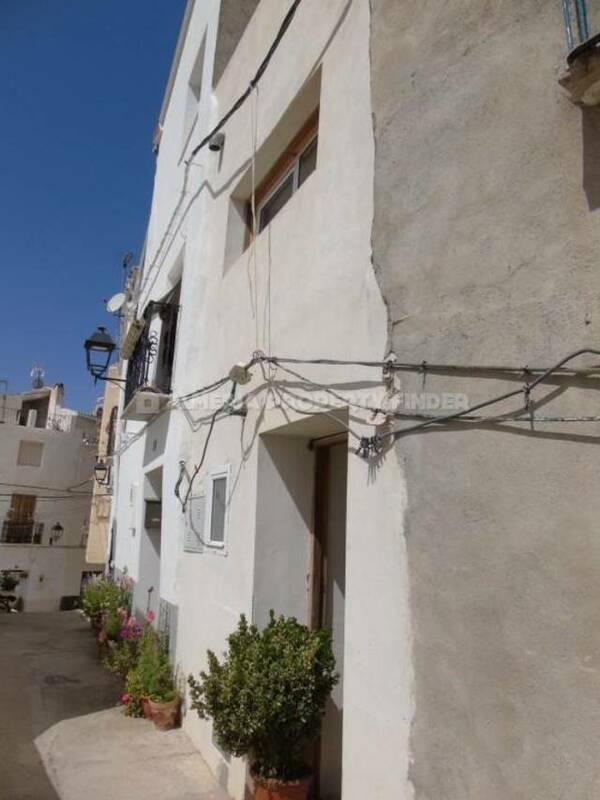 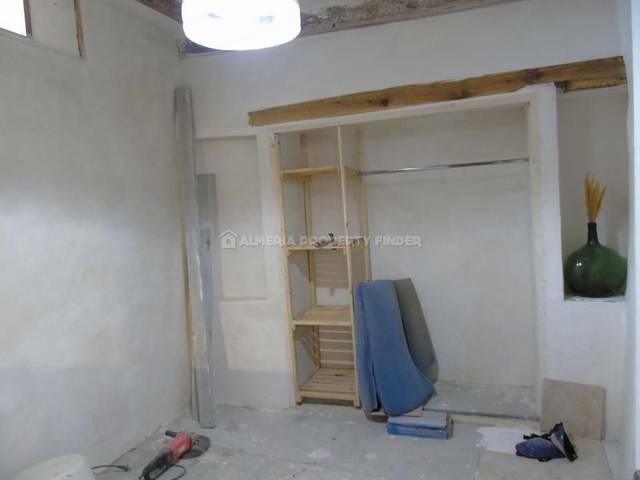 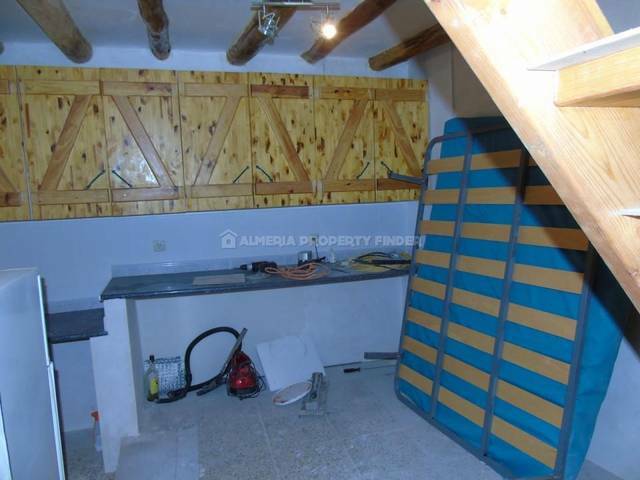 Part renovated three storey 2 bedroom town house for sale in Almeria Province, situated in the typically Spanish hillside town of Seron. 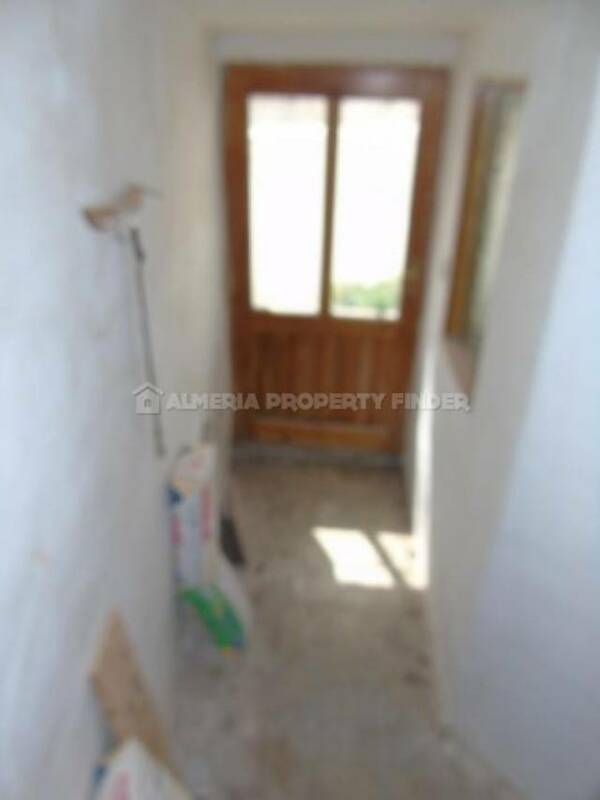 The front door opens into a hallway and to the left is a cloakroom with WC, urinal and pedestal basin. 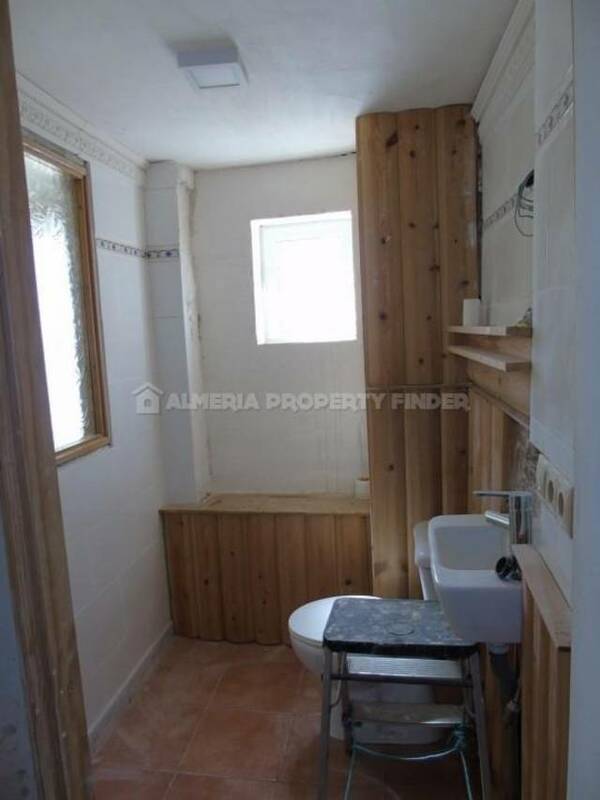 To the end of the hall is a guest bedroom with part-finished fitted wardrobe. 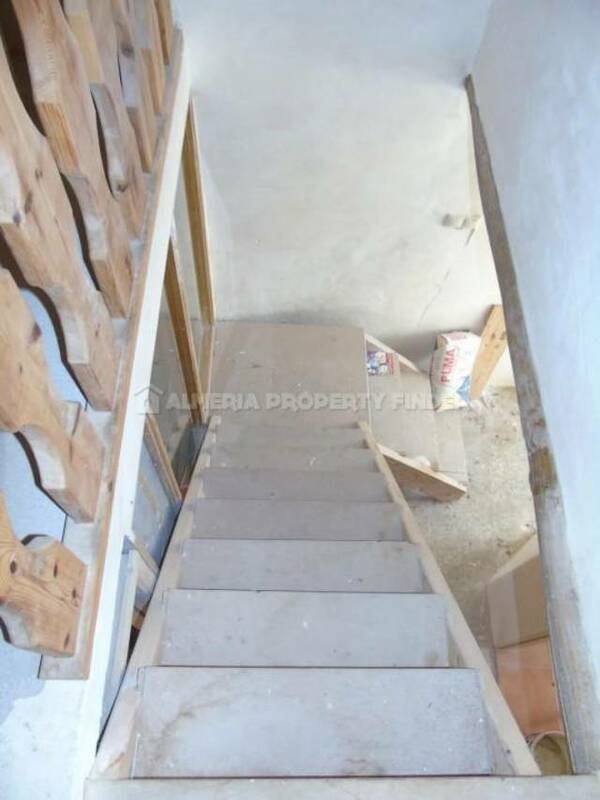 Wooden stairs from the hallway lead up to the first floor and at the top of the stairs is a bathroom comprising wetroom style shower, WC, urinal and pedestal basin - there is ample room for a bath tub to be installed. 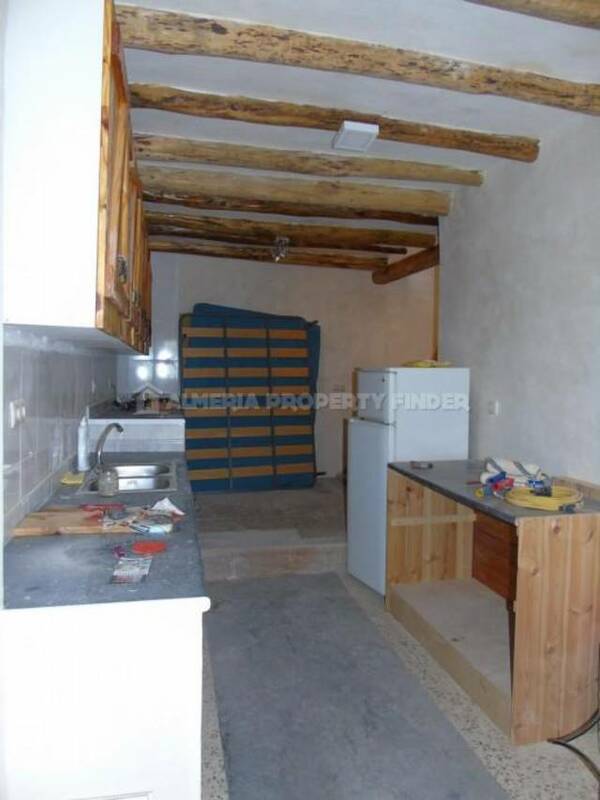 Also on the first floor is the kitchen which is fitted with high level cupboards and a double sink. 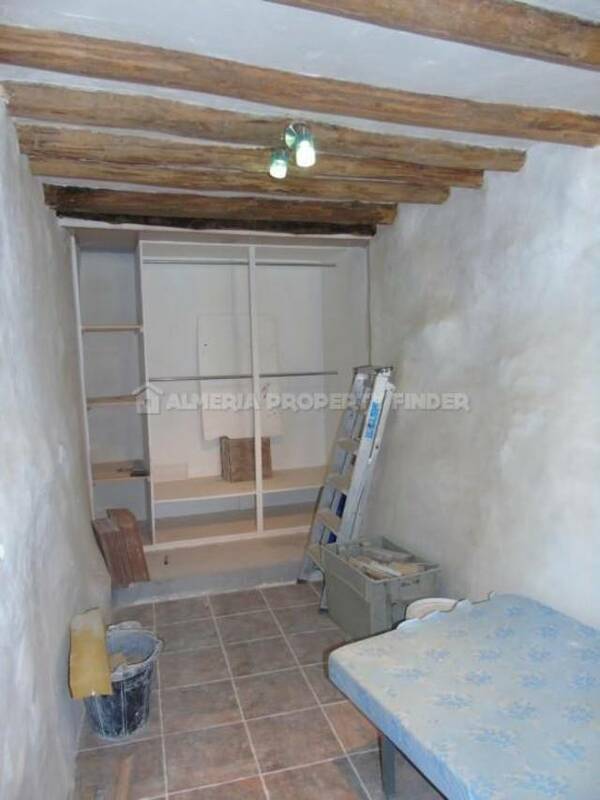 Off the kitchen is a small double bedroom with an unfinished fitted wardrobe. 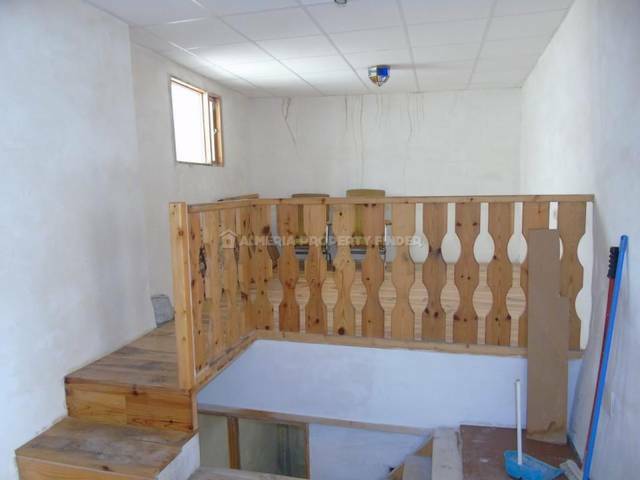 Wooden stairs lead up to the second floor which comprises a split level lounge with wooden floorboards, a wood burner and a cupboard housing the water heater. 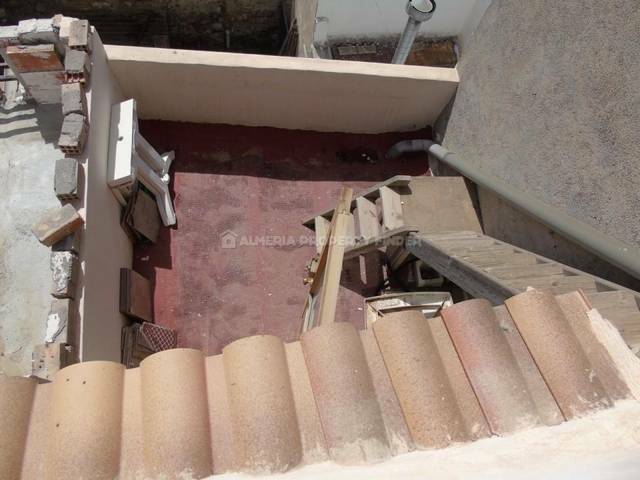 Steps lead up to the higher level which would make an ideal study / hobby room, and double doors lead out to a small terrace. 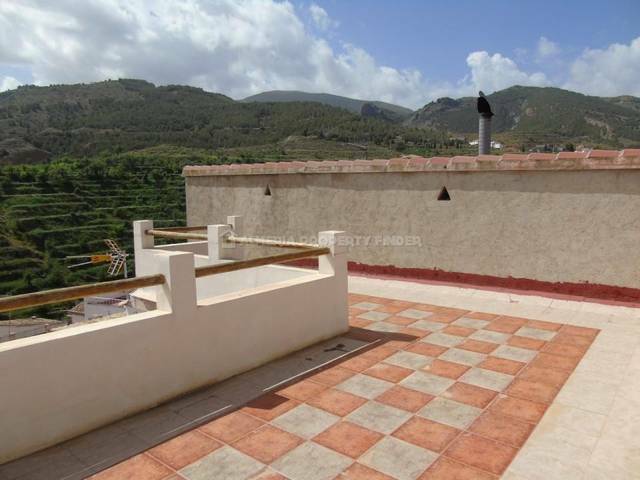 From the terrace, an open wooden staircase leads up to an L-shaped roof terrace with fabulous views over the town to the hilltop castle and down to the valley below. 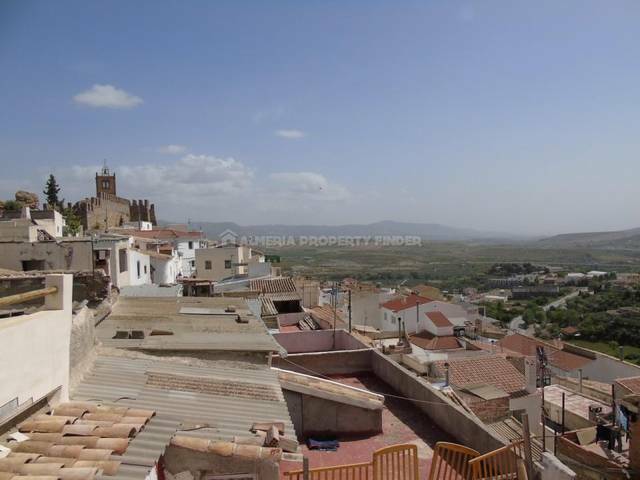 The town of Seron offers all amenities for daily living and has a weekly street market. 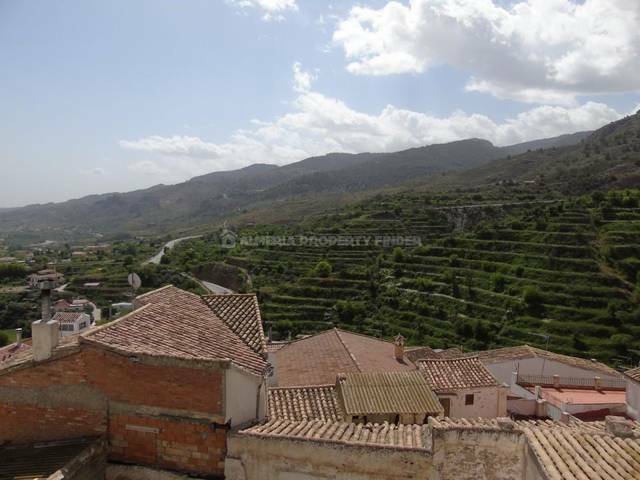 The large town of Baza which offers all amenities is only a 20 minute drive.